All right, all right. So that title probably isn’t my greatest. But since today is cinco de mayo, a holiday celebrated because of a battle victory, today’s dish is full of something you’d need to win any battle: protein! 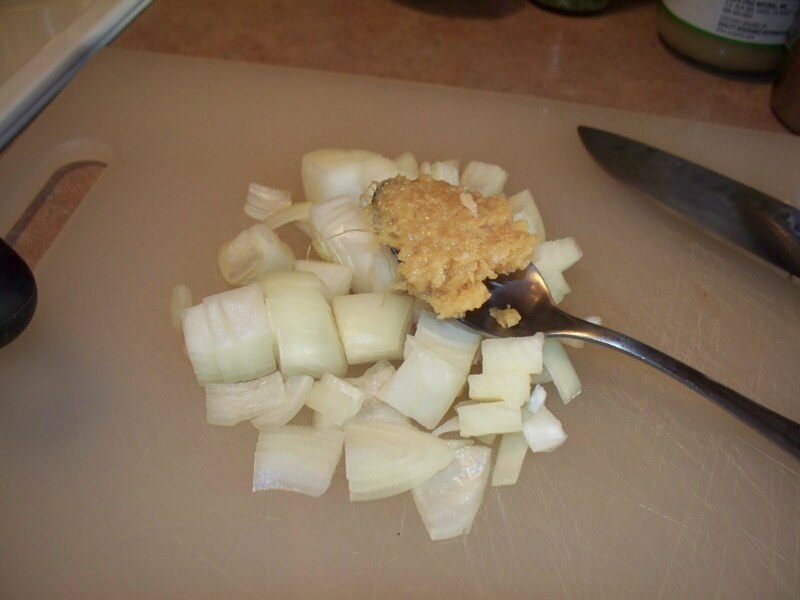 This recipe is vegetarian but can easily be made vegan by substituting the chicken broth for vegetable broth. It’s chock full of protein and fiber, so it’s good for you, but clearly it tastes good too or I wouldn’t have put it up here! I made mine as a full meal (dude, there’s a salad on top of it!) 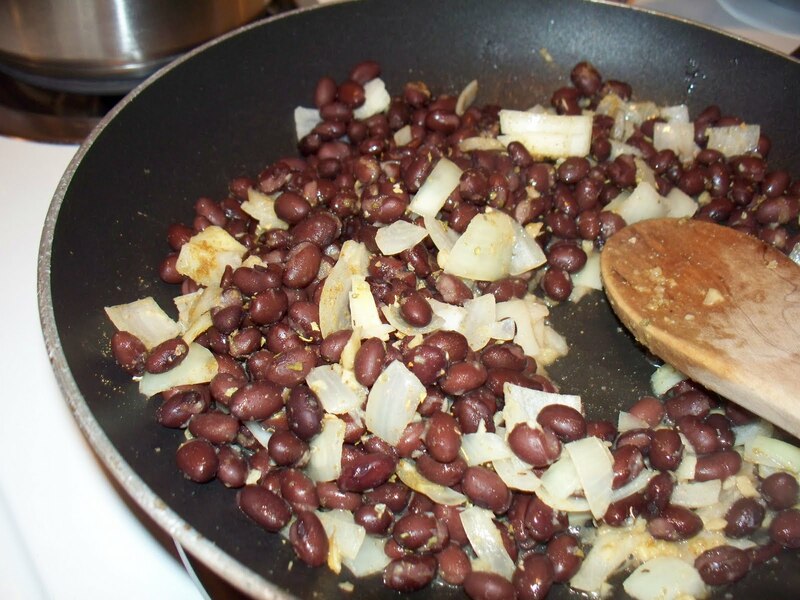 but you could also make this as a side dish or the insides of a burrito. All spices are always to your taste! Cook the rice according to the package directions, substituting 1/2 cup of the water with the broth. 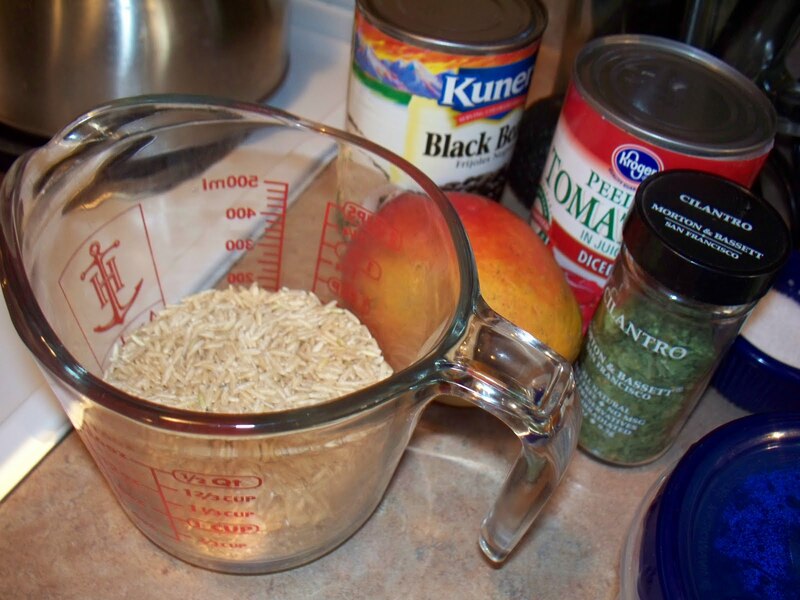 While the rice cooks, heat the olive oil over medium-high heat in a skillet or pan that has a lid. Add the onion, garlic, cumin, cilantro, oregano, and salt and pepper and cook uncovered, stirring often, for 2-ish minutes. Add the beans and tomatoes. Cover the mixture and simmer for 10 minutes until the liquid reduces. Smash some of the beans with a fork to thicken the mixture. 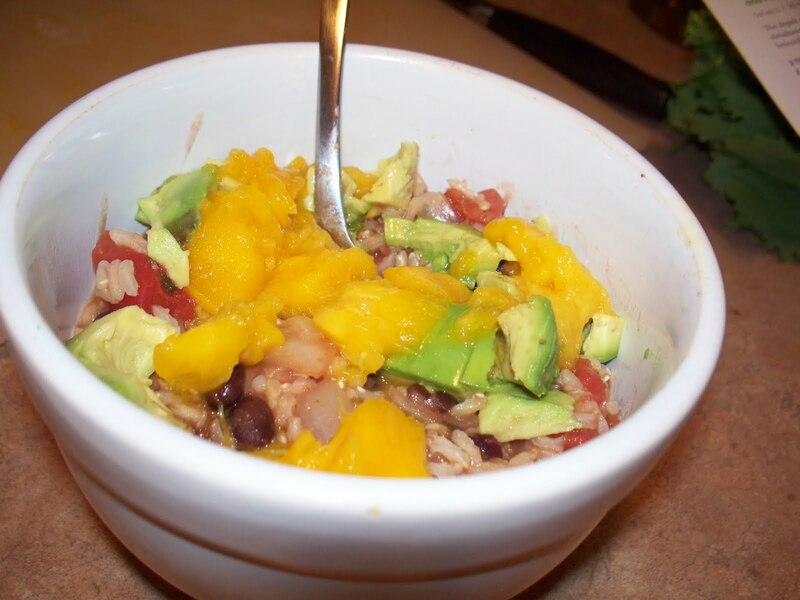 Serve over the rice (or mix together) and top with the mango and avocado. 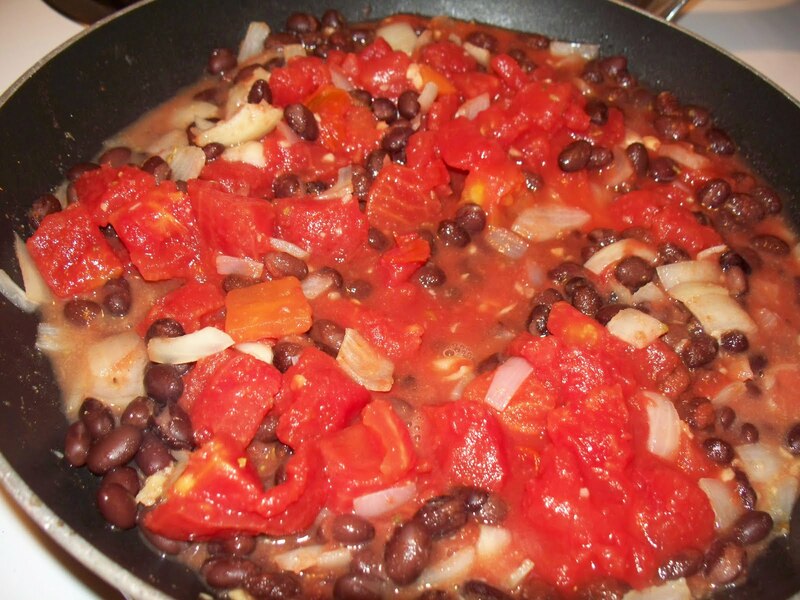 black beans, leah charney, tomatoes, younique eats. Bookmark the permalink. Post a comment or leave a trackback: Trackback URL.